Retaining the original charm of this heritage listed 1890s Victorian Italianate architecture was no mean feat, given the numerous constraints for the property. 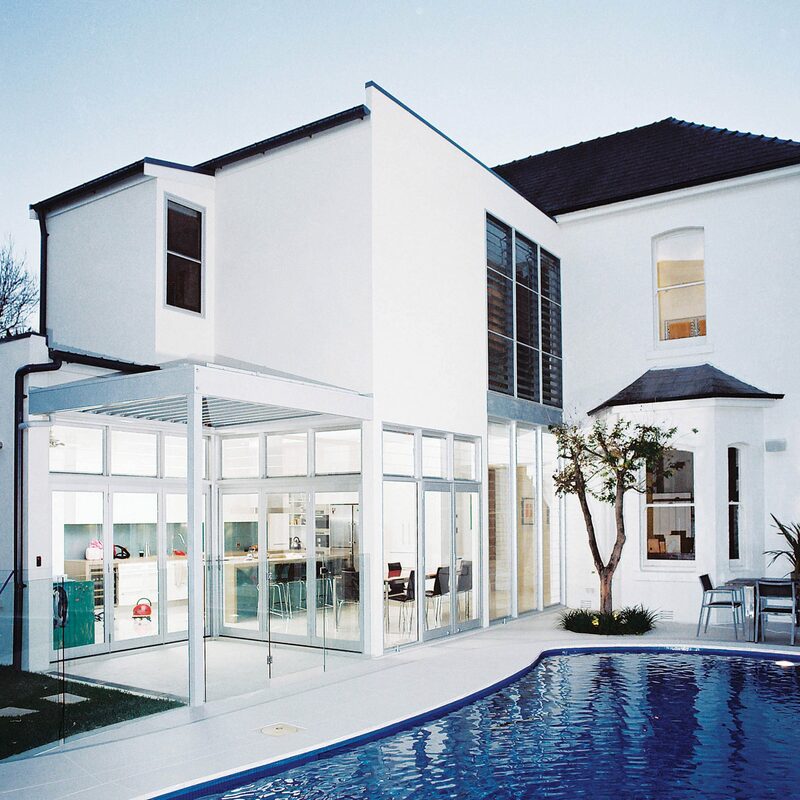 To redesign the outdated rear addition into a modern living space, and revitalise the pool and exterior spaces, required persistent wrangling of planning and code compliance challenges inherent to the existing dwelling, and its site and context. A largely southern orientation with limited opportunities, coupled with the complex layout of underused and dark rooms upped the ante in maintaining the period charm of the house whilst creating a contemporary family home with a feeling of light and space. While the majority of the house was retained, its plan was simplified and streamlined to encompass an addition at the rear, housing a new open plan kitchen and living area, opening onto the pool and back yard. New light wells and double-height space with a louvred glass wall draw maximum daylight and natural ventilation into the house. Splashes of colour enliven and delineate the spaces with attention to detail further expressed in the texture and materials utilised in the interiors. Upstairs, a new fourth bedroom and bathroom add space and flexibility to the existing first floor. The rear-lane facing garage, pool and backyard have also been completely transformed to encapsulate the modern lifestyle of the client and their family.